Olympic backstroker Olivia Smoliga put up a lifetime best in the 50 back shootouts at the 2018 TYR Pro Swim Series stop in Mesa, and it was an American Record to boot. The women’s 50 fly field included Olympic butterfliers Kelsi Dahlia, Farida Osman, and Louise Hansson. The men’s 50 fly came down to World Junior Record holder Michael Andrew versus fellow U.S. National Teamer Tim Phillips. 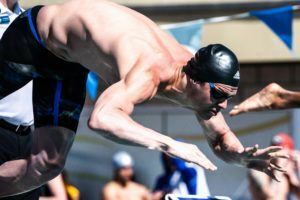 The 50 free shootouts at the 2018 TYR Pro Swim Series stop in mesa featured plenty of talent between Austin shootout champion Margo Geer, U.S. Olympians Kelsi Dahlia and Lia Neal, NCAA champion Mallory Comerford, and pro sprinter Madison Kennedy. Dahlia came into this round of shootouts after winning the 50 fly shootouts earlier in the session. Comerford had also competed in the fly quarterfinal. Comerford (24.94) and Geer (24.96) were sub-25 right out of the gate to top the quarterfinal, with Dahlia and Neal also advancing. That time for Comerford was just 6 hundredths shy of her lifetime best, and that was coming off a post-NCAAs break. Interestingly Neal had placed 5th, but 3rd-place qualifier Kennedy opted not to move on to the semifinal. In the next round, Comerford and Neal qualified to advance to the final. Comerford then swam to victory in 25.10, while Neal touched with a 25.59 in the final. 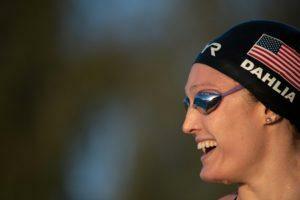 How much are the TYR sponsored swimmers earning annually? I have no idea what swimming sponsorships pay. $50K, $500K, $5M?